25. 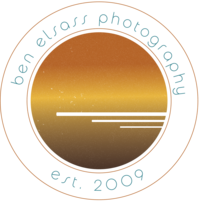 Copying, selling, or sharing intellectual properly without written consent from Ben Elsass Photography found on this website or any social media account in connection with this website, including, but not limited to, Facebook, Instagram, Twitter, Snapchat, and others that may not be listed here. If the Parties are unable to resolve a Dispute through informal negotiations, the Dispute (except those Disputes expressly excluded below) will be finally and exclusively resolved by binding arbitration. YOU UNDERSTAND THAT WITHOUT THIS PROVISION, YOU WOULD HAVE THE RIGHT TO SUE IN COURT AND HAVE A JURY TRIAL. The arbitration shall be commenced and conducted under the Commercial Arbitration Rules of the American Arbitration Association ("AAA") and, where appropriate, the AAA’s Supplementary Procedures for Consumer Related Disputes ("AAA Consumer Rules"), both of which are available at the AAA website www.adr.org. Your arbitration fees and your share of arbitrator compensation shall be governed by the AAA Consumer Rules and, where appropriate, limited by the AAA Consumer Rules. The arbitration may be conducted in person, through the submission of documents, by phone, or online. The arbitrator will make a decision in writing, but need not provide a statement of reasons unless requested by either Party. The arbitrator must follow applicable law, and any award may be challenged if the arbitrator fails to do so. Except where otherwise required by the applicable AAA rules or applicable law, the arbitration will take place in Hamilton County, OH. Except as otherwise provided herein, the Parties may litigate in court to compel arbitration, stay proceedings pending arbitration, or to confirm, modify, vacate, or enter judgment on the award entered by the arbitrator.